Relish the memory. : The Scandal on Salted Caramel. The Scandal on Salted Caramel. 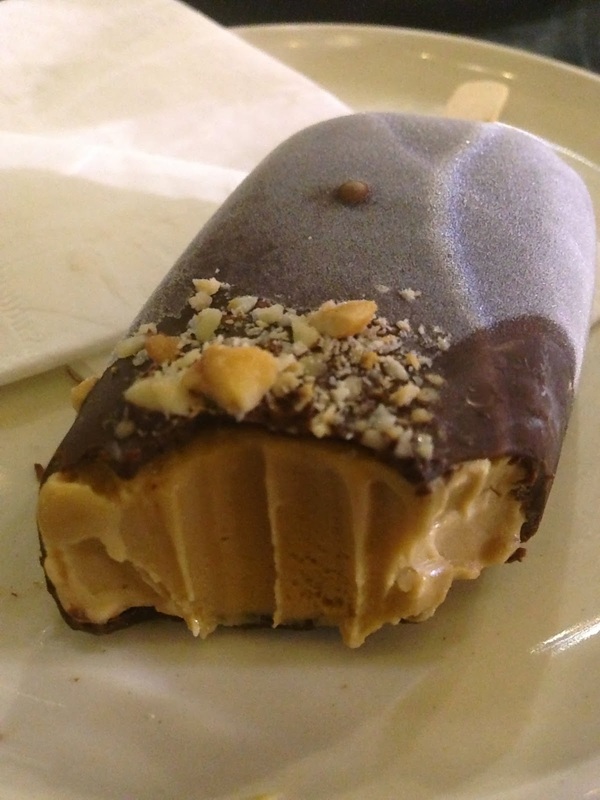 If you are yet to experience the sensation of a ‘Salted Caramel’ treat it is probably time to venture out from behind your culinary inhibiting rock. However I'm fairly optimistic that most of you will be well aware of this ‘salty’ trend, which manages to combine two of our favourite tastes – sweet and salty. It’s all pretty simple really - a sweet, toffee-like caramel spiked with a touch of salt, creating the perfect balance to excite our palates. In my mind it is an epiphany that should be celebrated and enjoyed by all who’s lips it touches. I will admit I have heard the odd murmur from those who don’t quite appreciate the salted caramel craze, but I’m confident these voices are drowned out by the crowds. Over the last few months I have taken the arduous task (poor me!) of researching, discovering, tasting, experimenting, and devouring salted caramel in all its wondrous forms. The first was a single scoop gelato from the ever-popular Takapuna Beach Café on the North Shore. With their handmade, award-winning gelato this one definitely leaned toward the salty side – but no complaints from me. I lip-smackingly licked every melting morsel from the cup and spoon. First exhibit: ultimate success. 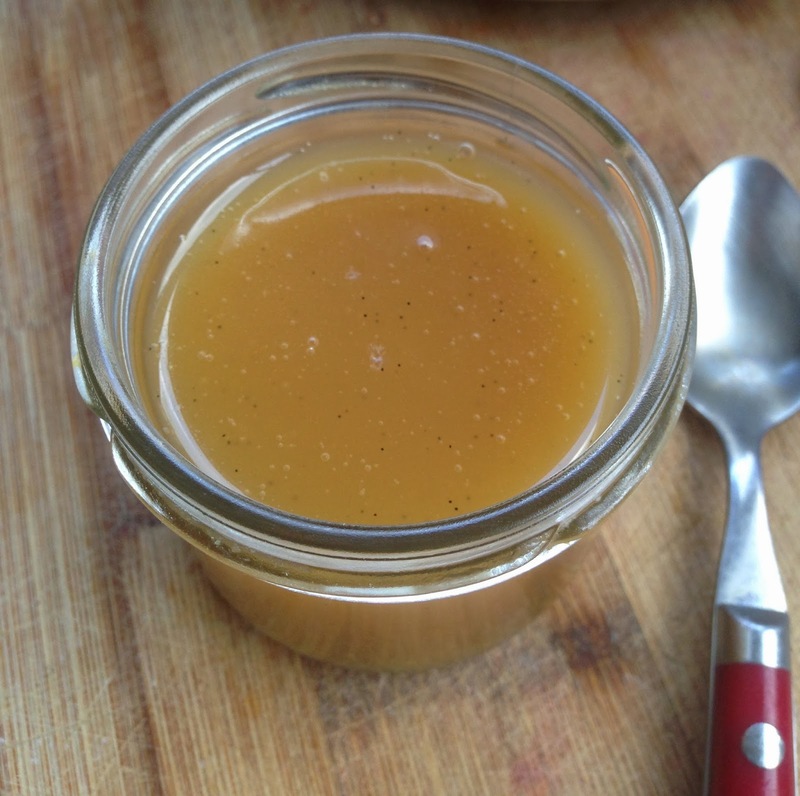 The next was an attempt in my own kitchen to create salted caramel sauce from scratch. After a touch of googling and an amalgamation of methods I went for four ingredients: 1 cup white sugar (+ 2 Tbsp water), 4 tbsp unsalted butter, ½ cup cream and a generous sprinkle of sea salt. After stirring the water into the sugar, creating a wet sand, I heated it slowly to let it melt down. With no candy thermometer in sight, I watched it like a hawk til it turned a beautiful shade of amber and whipped it off the heat. I carefully beat in the cream and butter, added the salt and the rest was history. Once I had the sauce sorted I needed to find something to do with it ASAP before it all ended up in or on my abdomen. Inspired by a few sad looking apples in the fridge I grated the living daylights out of them and whipped up some spiced apple muffins. Filled with caramel and topped with a wad of salted caramel icing to be shared and savoured. 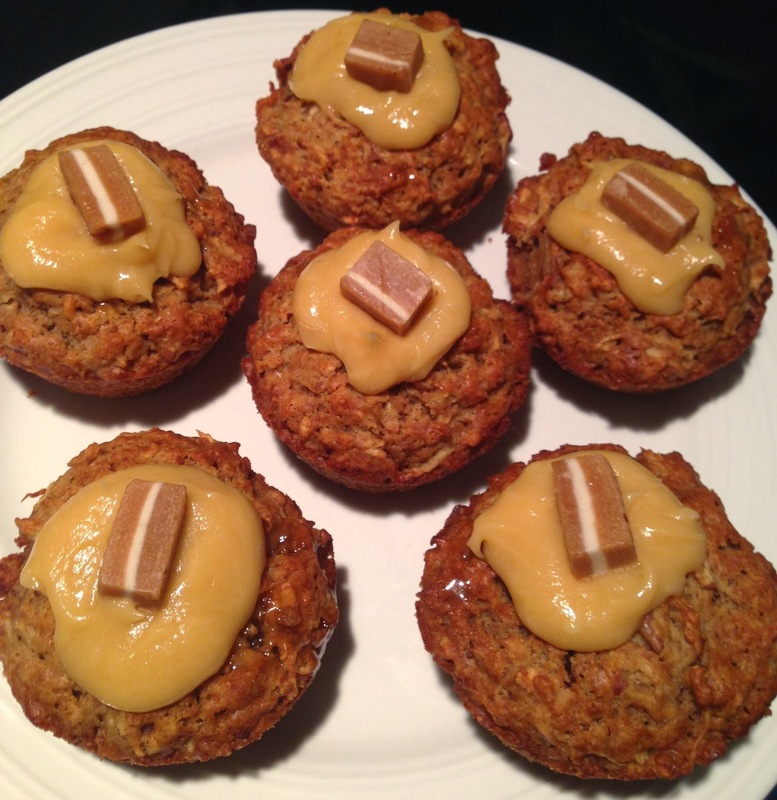 Spiced Apple & Salted Caramel Muffins. Next on the agenda was a bittersweet farewell cake for a very special egg in my life. Consisting of a spiced banana flavoured cake, layered and iced with salted caramel buttercream, topped with a salted caramel drizzle and finished with jersey caramels. Phew. It was exhausting, extravagant, laden with sugar & butter and oh-so-delicious. Despite it representing the sign of a departing friend across the ditch it was certainly a sweet, sweet note to say bon-voyage. The Bittersweet Farewell Banana Salted Caramel Cake. With such a success this beauty was spotted via my Instagram @relishthememory and especially requested for a certain birthday celebration. Eager to share the salted caramel joy I wholeheartedly accepted and so came attempt number two. Despite missing out on a slice of this baby, my mandatory bowl/spoon licking made me confident that it would be thoroughly enjoyed all over again. And I am pleased to report that it most certainly was! As they often say 'Everything in moderation' (including moderation itself), so back I went to the gelato arena. 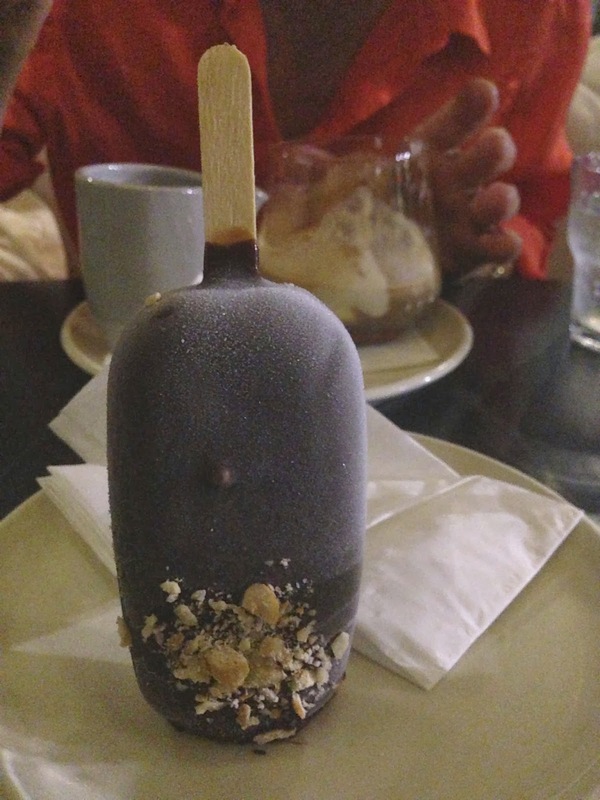 This time it came served beautifully on a stick covered in rich dark chocolate shell & crushed macadamia nuts. Many Aucklander’s will know exactly where I’m talking about without even mentioning the name. Milse – the stunning dessert restaurant with a beautiful range of handmade gelato on a stick (as well as a million other mouth-watering, hip-hugging desserts – moderation remember). After a beautiful mother-daughter dinner at Ortolana, it was my duty to taste-test the Salted Caramel Gelato. And in no way did it disappoint. My preference towards the salty side was met and it was the perfect finish to a delightful evening. 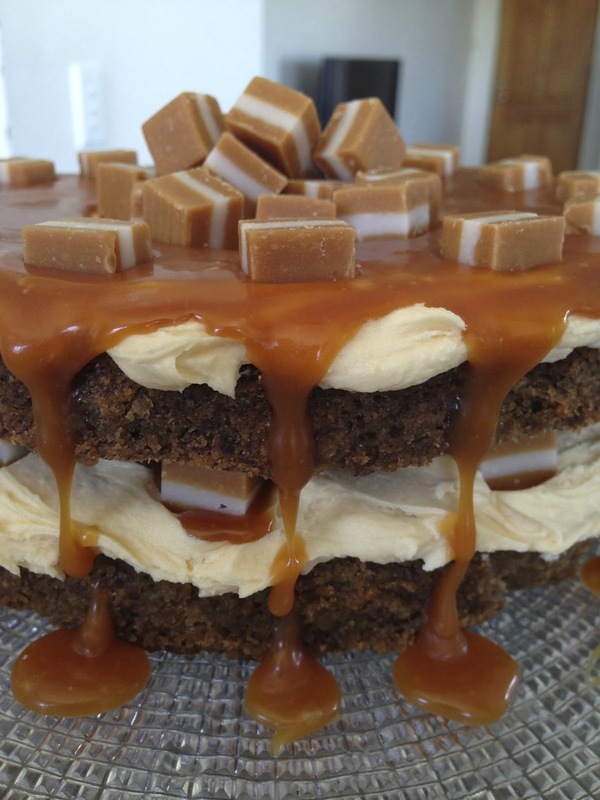 If you get the opportunity – you absolutely must try BOTH of these eating establishments they are worth their weight (you are highly likely to have to wait for a table) in salted caramel! Salted Caramel Gelato on a Stick. During my latest adventure to Dunedin, I picked up a sweet (and salty) treat from the Peasant Bakery housed within the Dunedin Railway Station, at the Saturday Farmers Market. A generous candy-like biscuit, which I have spoken of before here, that goes by the name of Macaron in the form of Salted Caramel of course. A bit more on the sweet side, but light, gooey and crumbly, it went down a treat, if not unneeded during the extravagant foodie weekend, but worth every mouthful all the same. A Macaron starring Salted Caramel. With only good and great things coming from salted caramel thus far I decided I would attempt to turn this bad boy into a slightly more nourishing version of itself. The result, a Vanilla Coconut Salted Caramel, free of refined sugar and far less dairy. The experiment went a bit like this…a can of coconut cream, a few decent spoonfuls of honey and some vanilla extract – left to boil together in a pot, stirred often, letting it reduce down to a thick syrup. Off the heat with a couple of tablespoons of butter carefully beaten in, the result was wholesome joy on a whole new level. Truly wonderful stuff, despite being dangerously difficult to halt consumption it leaves you feeling virtuous and nourished with every spoonful. Vanilla Coconut Salted Caramel (refined sugar free). Back to the real deal I saw the salted caramel combo reach new heights. Always looking at ways to recreate or reform recipes, I took the classic Chocolate Caramel Slice and made it just a little bit salty. Using this recipe here and adding salt to the caramel and a sprinkle on top I established another way to share the splendour of this saintly syrup. Not your traditional Chocolate Caramel Slice. The final adventure was an operation of sorts involving a syringe loaded with salted caramel, a chopping board, a ramekin of cream and a sugar coated donut. Need I say more. The injection donut has hit the ground running making its way from the North to the South Island in no time at all. But its everything you want eating to be – fun, interactive, interesting, decadent and dam right delicious. 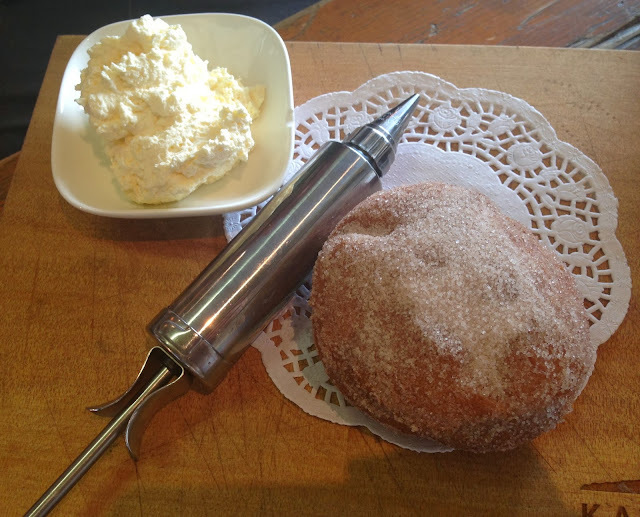 You can try these beauties at Foxtrot Parlour, Ponsonby here or at Nova Dunedin here. Go forth and inject happiness with a syringe of salted caramel.